DBS/POSB Cardmember? Enjoy special fares with Cathay Pacific from now till 8 Nov 2018. Enjoy Cathay Pacific’s special offers on Economy Class from SGD228 all-in. From the night markets in Taipei to the Buckingham Palace in London, excite yourself with new experiences as you discover places. 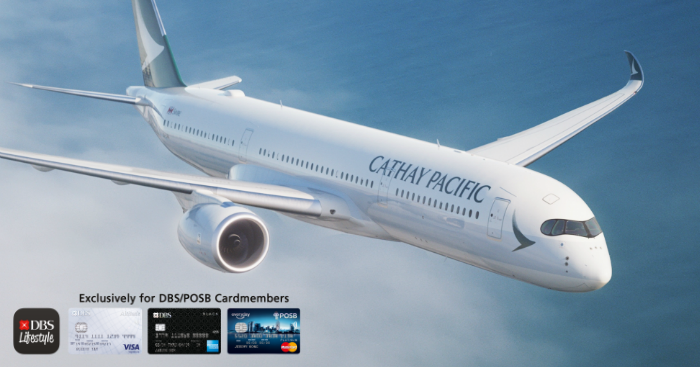 Enjoy Cathay Pacific’s special Economy Class fares from SGD$228 all-in, with DBS/POSB Cards. Offer ends 8 Nov 2018, book online now. Flights to Seattle start from 31 Mar 2019. Who’d you travel with? Share these promo fares with your friends and loved ones! 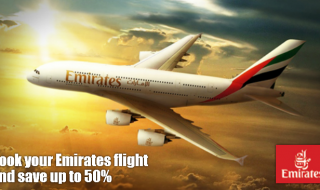 The above fares are on Economy Class, on per person basis and includes all applicable taxes/surcharges. Taxes and surcharges are correct as of 1 Sep 2018 but are subject to change due to currency fluctuation. The taxes are final at the point of ticketing. Tickets must be paid using Singapore-issued DBS/POSB Cards. Cardholders need not be the traveller. Advance purchase: 14 days advance purchase condition applies before departing Singapore to Middle East, Europe and North America. 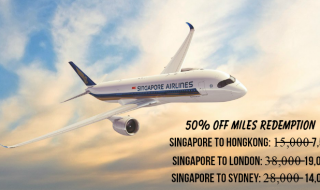 3 days advance purchase condition applies before departing Singapore to all other destinations. Weekend surcharge: SGD30 per person applies for travel departing Singapore on Fridays and Saturdays to Hong Kong, Bangkok, Taiwan China, Japan and Mainland China. O booking class: Not applicable. Point to point itinerary only. Other booking class: One Hong Kong stopover is allowed throughout the journey with applicable Hong Kong taxes. 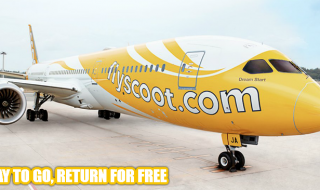 One Bangkok stopover allowed on the outbound sector with SGD150 surcharge and applicable taxes. Open-jaw: Open-jaw within Taiwan China, within Japan, within Mainland China, within Europe and within North America is allowed on Q class only. Please call CX Global Contact Centre at 6723 1378 to make a flight booking. O booking class: Ticket is valid on flight and date shown. No rebooking is permitted. Other booking class: Fee of SGD150 per passenger applies for any flight or date change within ticket validity. Flight restrictions/advance purchase must be observed. O booking class: Not applicable. Ticket is considered forfeited once there is a no-show. Other booking class: SGD150 per passenger applies, for passengers who fail to turn up for the flights they are booked on. O booking class: Not eligible for mileage. Other booking class: Eligible for mileage. O booking class: Tickets once issued are non-refundable. Other booking class: Refundable subject to SGD300 refund admin fee for fully unutilised tickets. Non-refundable for partially unutilised tickets. Child fare / Infant with seat: 75% of adult fare applies. Infant without seat: 10% of adult fare applies. Advance seat reservation (preblocking of seat) is not available. You may select your seats during online check-in 48 hrs prior each respective flight departure. MARSHALL x Shopee 11.11 Big Sale: Enjoy Up To 60% Off Storewide Deals From 29 Oct – 11 Nov + extra 15% Off Shop Vouchers.